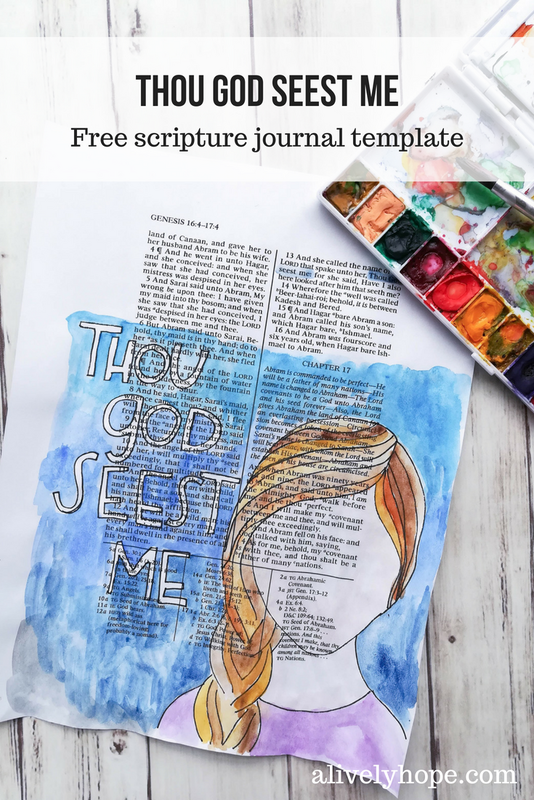 Free template for a bible journaling page. 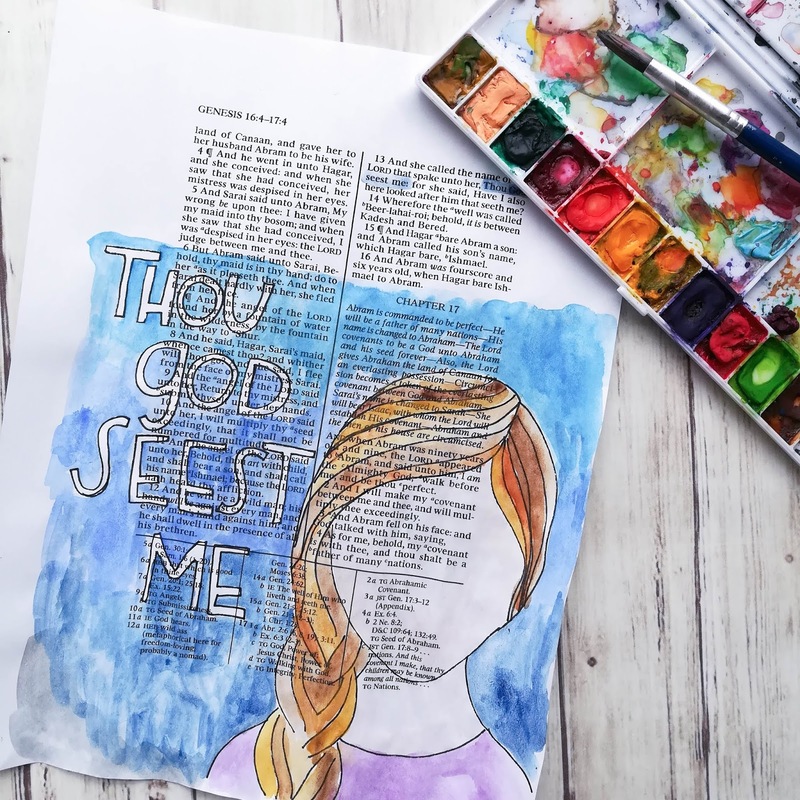 Trace or copy this page into your scriptures or scripture journal as a reminder of Hagar's story from the Old Testament. One of the most profound verses I've read in the Old Testament this year comes from the story of Hagar. She was struggling after running away from what must have been a horrible situation, and she saw and spoke to an angel of the Lord. This small insight into Hagar's life shows that Heavenly Father cared for her enough to send a messenger to communicate directly with her one-on-one. Her response was to say, "Thou God seest me." It's a simple testimony, but it has stuck in my mind for months. 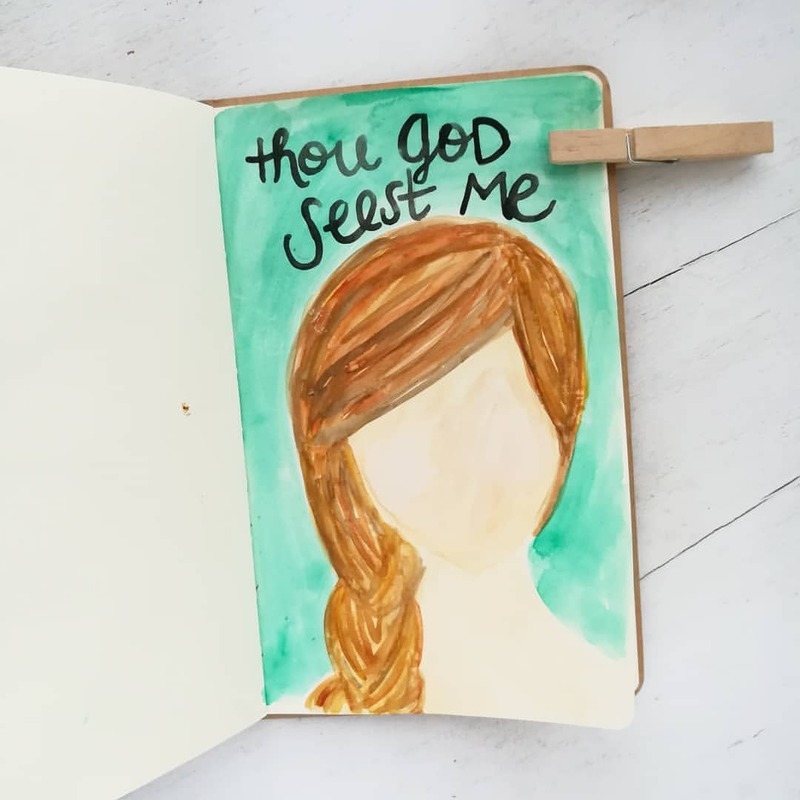 God knew what an effect Hagar's choices would have on her posterity, so he urged her to return to a difficult situation, despite the hardships she would inevitably endure there. Hagar's story helps me remember that I have a loving Father in Heaven who is directing my life as well. He is designing trials and triumphs meant just for me. Even with billions of people on the earth, God sees me. use it as a page in your scripture journal. print on sticker paper and color it in with colored pencils, then apply it into your scriptures or journal. Use it as a coloring page, and/or journal all the ways in which you know God sees you. I'd love to see how you use this free printable! Please leave a comment or share a photo and tag me on Instagram!